Activities in an around the Valley are hugely varied – below is a list of some of the activities. It’s certainly not exhaustive and it’s not in order of preference! Perfect for walkers, cyclists, families, gourmet travellers and skiiers (in the winter! ), twitchers and anyone else who loves the countryside, but likes being near amenities, the valley has wonderful views up to the snow caps of the Sierra Nevada, across to hills towards the coast, and down through the Lecrin Valley’s beautiful green landscape to Lake Beznar, a bright turquoise reservoir surrounded by walks, recreation areas and orchards. The lake is great for fishing and allows non-motorised watersports, being accessed from Beznar village. The Spanish love a good fiesta. And they go all out for it with fireworks, processions, paellas, tortillas, fun fair, concerts etc etc. They can last all week and go on well into the wee hours. 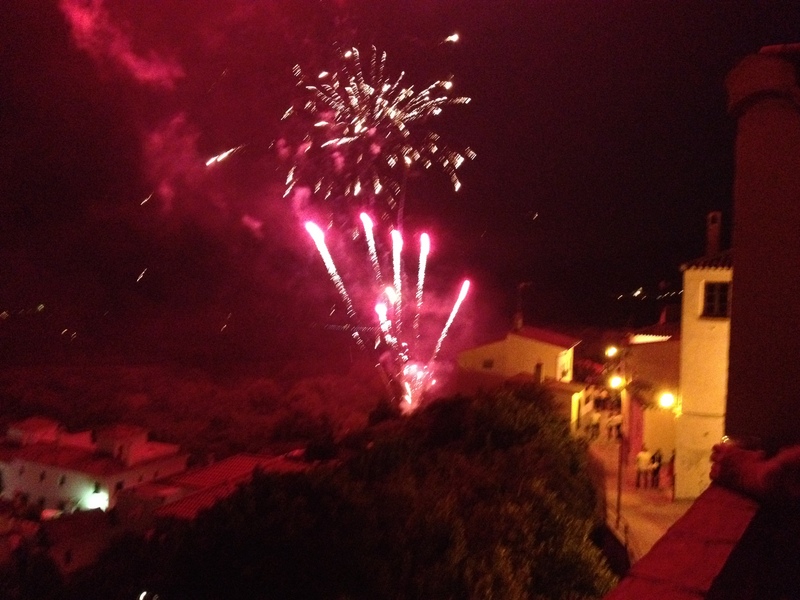 Fiestas in the valley run pretty much all year round. FLAMENCO: Must see while you’re near to Granada. http://www.granadaesflamenco.com/. There are also sometimes Flamenco concerts/shows around the Valley and there are often shows in the Generalife. GOLF: There are several golf courses within 30 minutes of The Lecrin Valley. Santa Clara www.santaclaragolfgranada.com is an 18 hole TPC, with a golf academy, driving range, spa, gym and restaurant. Located at Otura – 10 minutes south of Granada and 10 minutes north from the Lecrin Valley. Granada Club de Golf, Las Gabias. A par 71, 18 hole golf course at Las Gabias – 8 kilometers to the east of Granada City and about 20 minutes from The Lecrin Valley.www.granadaclubdegolf.com/. Camino de los Corsarios 18110 Las Gabias. T: 958 58 44 36. In the beautiful Lecrin Valley and Alpujarras. 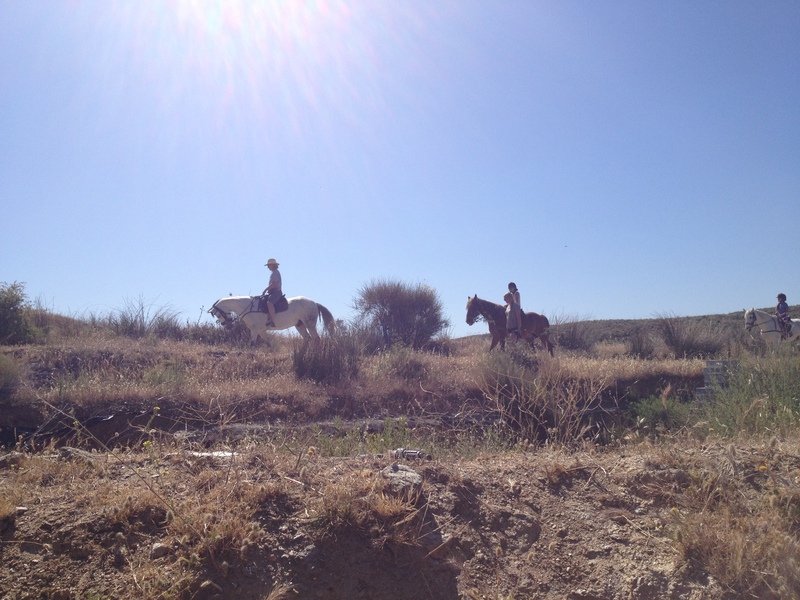 Also in the valley (Albunuelas) is Caballos Palmali www.caballospalmali.es. All the larger towns and villages have one or two a week, which brings together all the local producers of everything edible from the area. To find out Market Days, click here for South From Granada’s page on Weekly Markets. The biggest ones are Durcal – Wednesday and Padul – Friday. Granada has a market on Saturdays and Sundays. PAINTBALL! Yes there’s even a Paintball set up in Restabal, run by the same family that own Bar Jovi and Meson La Despensa. They also organise horseriding and mountainbiking at http://www.rutaslahoyaaltera.com. SIGHT-SEEING: Granada City has heaps of history and culture and of course the amazing Alhambra Palace. Book online a couple of days in advance. Buy tickets here. TAPAS TOURS: Granada is the home of Tapas of course, so you must try a tour with Granada Tapas Tours – www.granadatapastours.com. Their book is great and also co-written by Lecrin Valley resident, Vernon! TENNIS: Local courts are in some of the villages, e.g. Murchas, Lecrin, Chite (where you get the net from the “club” opposite the campo) – booked for 2-3 euros / hour from the Ayuntamiento in Lecrin (usually open from 9.30-3 or 2pm in the summer holidays) – you just go in there, book your time slot and pay. plus a good club in Otura (15 minutes towards Granada from the Valley near the golf club) – www.garros.es. WALKING: The Lecrin Valley, Alpujarras and Sierra Nevada is hugely popular with walkers from all over the world. Check out http://www.treksierranevada.com/walks/start-point/lecrin-valley for suggested walks and downloadable maps. WATERSPORTS: At Salobrena, Almunecar and La Herradura (all within 30 minutes drive). WATERPARKS: If the kids need an outing there are a couple of great water parks open July/August in Granada and Almunecar. http://www.aquaola.es/ and http://www.aqua-tropic.com. Aquaola is just outside Granada on the Alhambra side at Cenes de la Vega (turn right at the big roundabout as you head towards the Alhambra instead of left up to the Alhambra itself). Excellent website & will be sharing with lots of friends who are yet to visit this beautiful area. Will add as link on our blog site too.